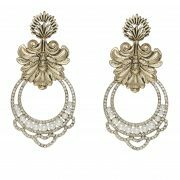 The Playa Pariso Earrings in Gold by Kitte are an elaborate statement earring inspired by a Cuban Carnivale. This tiered hoop earring features a stunning floral top, layered with a luxe Swarovski studded hoop. 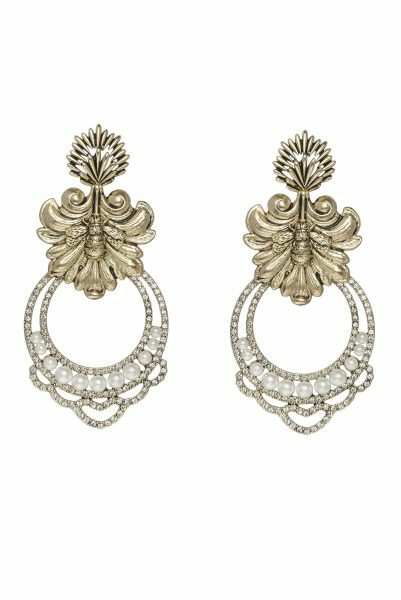 These large drop earrings catch the light and lightly brush the shoulder line. 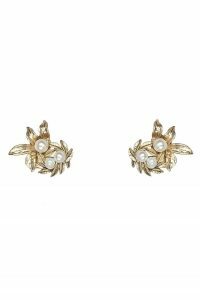 Designed for Kitte’s Mariposa collection, these opulent earrings are inspired by an alluring and mysterious Havana beauty.